When you’re organizing a big group, only one size fits all: LARGE. Whether you’re planning a trip for coworkers, friends, or your family, having everyone jammed in on top of each other just won’t do. Thankfully, if you book through Ski Mountain Chalets in Gatlinburg, Tennessee, you won’t have to be so cramped! For the biggest groups, Ski Mountain Chalets has FOUR 4-bedroom cabins, so there’s enough space for everybody to spread out. There are so many things to do in Gatlinburg that the sooner you check out our Gatlinburg large cabin rentals and pick the one (or more!) right for your group, the sooner all of you can start enjoying the beautiful Smokies. 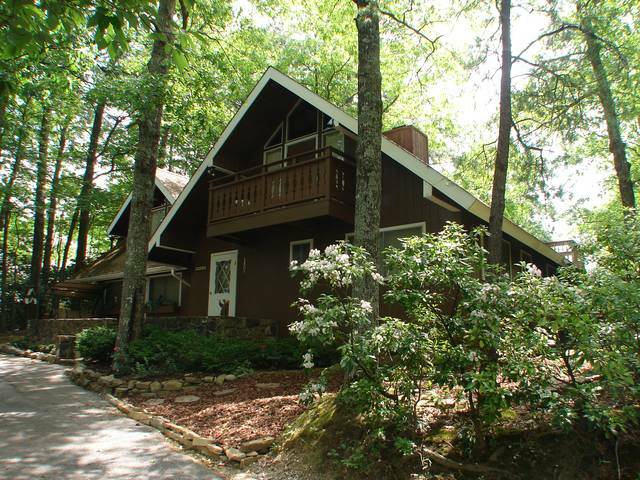 4-Bedroom Gatlinburg Large Cabin Rentals: Which One is Right for You? Does your group have classic taste – even the canine members? Then OberBaden may be right for you! This vintage-style A-frame chalet allows up to two dogs, so no one has to leave their best friend behind. OberBaden is also uniquely private; the 3-level design makes it comfortable both for gathering everyone together, and for 3 separate groups to have their own space. Need even more room? OberBaden’s location in the Chalet Village Resort area gives you and your fellow vacationers access to 3 club houses, featuring a pool, tennis courts, a fitness center, and a game room. No one has to leave OberBaden to have a good time, however. The chalet includes 5 LCD TVs, an 8-person hot tub, a pool table and a wet bar. Maybe something with big-screen TVs and a wet bar doesn’t seem like the right fit for your vacation. If you need accommodations that will allow up to 11 people to unplug and reconnect, select Ski Mountain Chalets’ cabin that sleeps the most, Mountain View. It includes bunk beds, hide-a-beds and a huge game room, all perfect for a family with kids reuniting to make memories in the Smokies. If you’re ready to be surrounded by the amazing view that gave the cabin its name, Mountain View could be just the right choice for your group. Think it would be impossible to get everyone together? Let the When Pigs Fly cabin prove you wrong! This 4 bedroom/3 bathroom mansion of a cabin includes 2 hot tubs, 1 King bed and 3 Queens, both a gas AND a wood-burning fireplace, pool table, shuffleboard table, stereo, and multiple outdoor seating locations, including benches, decks, a porch swing, rocking chairs, and recliners. Whether you’re a family coming in from a day on the town, or a group of friends bonding in the Smokies, When Pigs Fly has something to make everyone comfortable. Another amazing Chalet Village option, the Birdhouse Inn, will give your group an incredible perch up in the Smoky Mountain forests. With 1 King bed and 3 Queen beds, the Birdhouse Inn is perfect for groups of friends or family who can appreciate a view of downtown Gatlinburg, nestled in the wooded Smoky Mountains. Imagine lounging in the hot tub with your nearest and dearest, drink in hand as you watch the aerial tramway zip on by! The Birdhouse Inn is definitely for any vacationing group who can appreciate being ruler of the roost. When you’re planning out all your things to do in Gatlinburg, one thing you WON’T need to do is worry about the details at your chalet. Your home-away-from-home is “move-in ready,” with a fully-equipped kitchen (microwave, stove, oven, full-size refrigerator), WiFi, TVs, and even a washer and a dryer. Now you can really relax! Vacationers to Tennessee might not know that there are aren’t as many Gatlinburg large cabin rentals available as there are small cabin rentals. So get online and book one of these cabins today, before your group’s dates are sold out!